It’s a prayer for attentiveness, for awareness, for full embodiment. 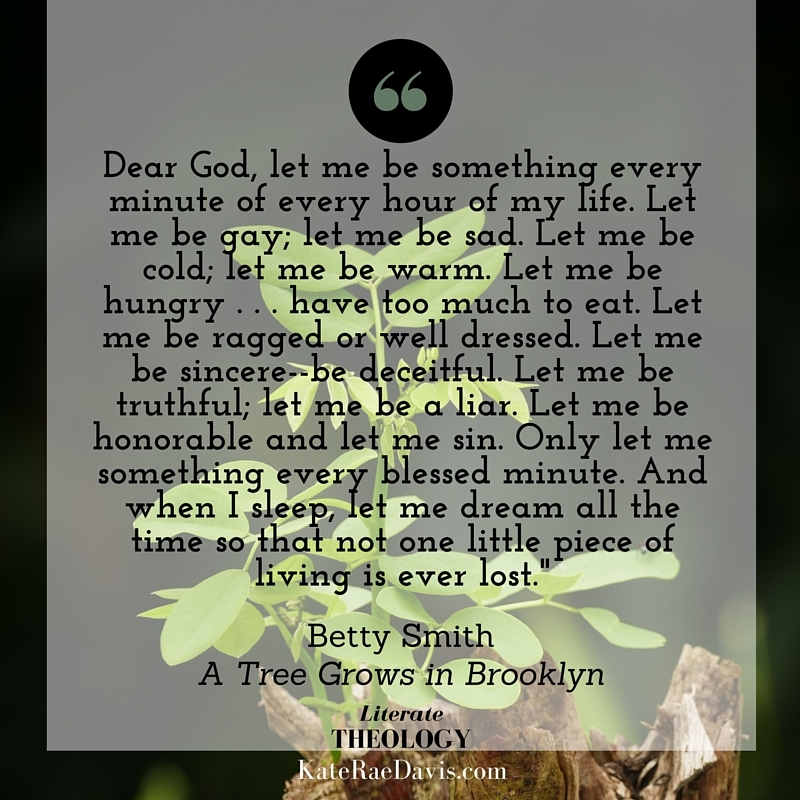 An honest prayer to be fully alive. We Christians talk about the two natures of Christ; how Christ was “fully God and fully human” at the same time. And I think we often take the humanity for granted; he had a body, and that was enough to call him human. But I wonder if full humanity is something to attain, like wisdom and mindfulness. I wonder if part of what Francie is praying for here is to become more fully human by being attentive to every moment of embodied life. Which is what makes it a Christian prayer. Not because it starts with “Dear God,” (which prayer from any religion would do in translation). It’s a Christian prayer because she prays with a foundation in the belief of the importance of incarnation — the incarnation of her own self. Because God made flesh and named it good, and God chose to take on flesh and be embodied with us. For discussion: Have you ever had moments that gave you a similar desire for life? What was it?